Rise and Shine and give God the Glory, Glory!! Breakfast can become boring morning after morning of the same old boring thing. Even though I LOVE BREAKFAST and my mmm mm home made Egg McMuffin, this morning I wanted something new. 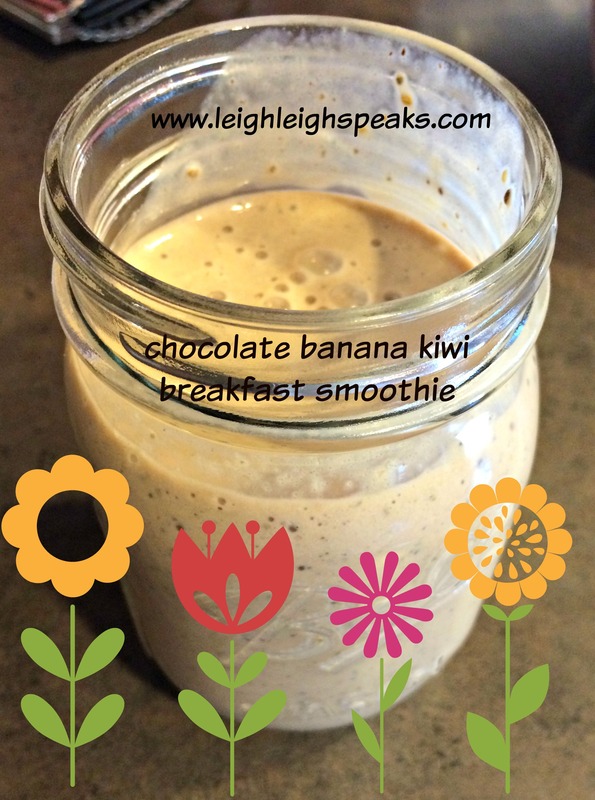 My creation turned into a delicious protein packed Chocolate Banana & Kiwi Breakfast Smoothie! Throw it all in the blender and blend until smooth! Sharing is caring, so please share away!! Don’t forget to follow my blog via email so you do not miss my future healthy recipes!! Leigh Leigh Speaks is on FACEBOOK, click HERE!